Winner earlier in the year on home soil in Taicang; China’s Qian Tianyi suffered a shock quarter-final Junior Girls’ Singles exit at the Hang Seng 2017 Hong Kong Junior and Cadet Open on the evening of Saturday 5th August. 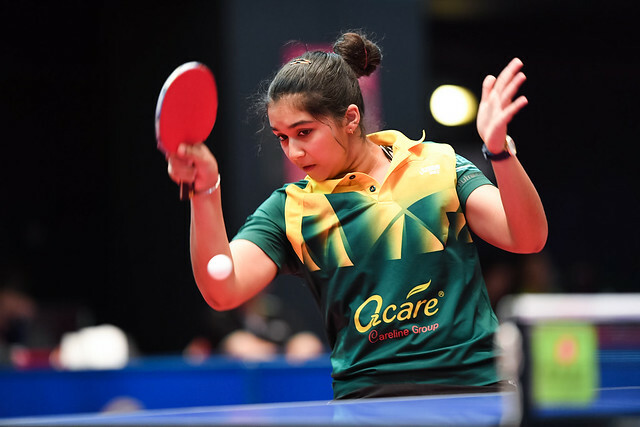 She was beaten by Chinese Taipei’s Chen Ting-Ting, a player who impressed with her high level of technical skills and supreme balance when a cadet; now in the splendid setting of the Queen Elizabeth II Stadium, the 16 year old shone brightly in the higher age group. The no.12 seed, a first round win over Hong Kong’s Wong Chin Yau (11-9, 11-9, 4-11, 12-10, 7-11, 11-7), Chen Ting-Ting embarked on her path of destruction. In the second round of proceedings, she caused a surprise by overcoming Japan’s Kana Takeuchi, the no.6 seed (13-11, 11-7, 17-15, 11-6), before causing the biggest upset of the day when beating Qian Tianyi, the no.2 seed (11-9, 6-11, 12-10, 11-5, 11-5) at the quarter-final stage. One round earlier, Qian Tianyi had accounted for Japan’s Yumeno Soma (11-9, 6-11, 12-10, 11-5, 11-5). Defeat for Qian Tianyi in the round of the last eight but not for her colleagues, Shi Xunyao, the top seed, nor for Liu Weishan, the no.5 seed. Both beat players in form to book their last four places. Shi Xunyao accounted for Japan’s Satsuki Odo, the no.14 seed (11-5, 11-7, 11-5, 11-13) and second round winner in opposition to the host’s Su Pei-Ling, the no.7 seed (11-7, 11-9, 3-11, 7-11, 10-12, 12-10, 12-10); Liu Weishan overcame Thailand’s Jinnipa Sawettabut, the no.8 seed (11-8, 11-9, 11-7, 11-2). Notably one round earlier, Jinnipa Sawettabut had beaten Japan’s Miyuu Kihara, the no.3 seed (9-11, 11-6, 11-4, 11-7, 7-11, 11-9). Disappointment for Japan but there was success. Miyu Nagasaki, the no.4 seed, after overcoming Hong Kong’s Leung Ka Wan (11-4, 11-8, 11-8, 11-7) reserved her place in the penultimate round courtesy of success against Chinese Taipei’s Yu Hsiu-Ting (11-4, 11-9, 13-11, 11-1). At the semi-final stage Shi Xunyao meets Liu Weishan; Miyu Nagasaki opposes Chen Ting-Ting. Surprises, not in the Junior Girls’ Doubles event where the top four seeded pairs all booked penultimate round places. 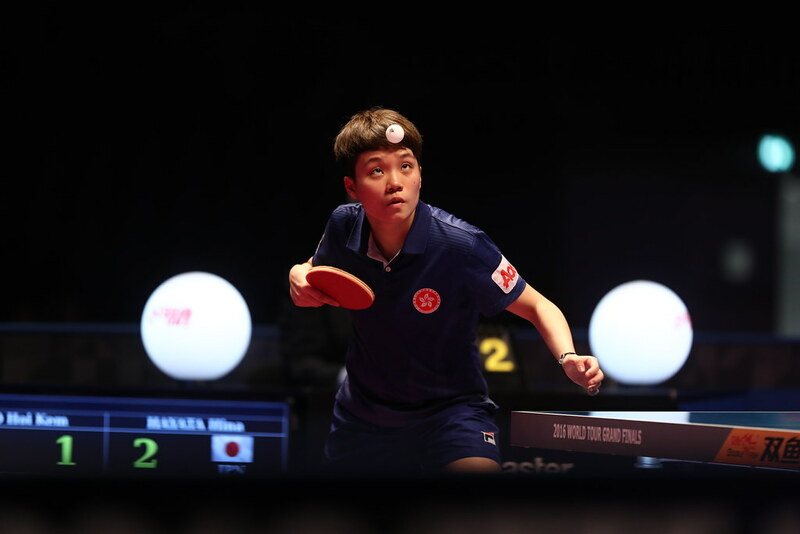 In the round of the last four pairs, Qian Tianyi and Shi Xinyao, the top seeds, meet Yomeno Soma and Kana Takeuchi, the no.3 seeds; Miyuu Kihara and Miyu Nagasaki oppose Chen Ting-Ting and Su Pei-Ling. Play concludes in Hong Kong on Sunday 6th August.